As interesting books go Mortal Wounds is way up there. I will admit that when I first saw the title on a list of potential books for review I was skeptical but then the title and description made it somewhat intriguing. I am pleased to say that I am happy I decided to review this work as it is infinitely more interesting than the title implies. First the facts. The book is 248 pages of text divided into an introduction, conclusion, and twelve chronologically arranged chapters covering the earliest anthropological finds of skeletons to the 19th Century. An extensive notes section, bibliography, and index round out the work. The first two chapters describe the evidence for violence that can be found on the human skeleton and go into some detail on the challenges involved in interpreting that evidence. This is no specialist volume as the author makes clear and does a very good job of explaining anthropology in layman’s terms making it much easier to understand the rest of the work. I have to admit that the first two chapters are masterpieces of explaining a dense topic in such a way that it is understandable without the reader getting the impression of being patronized by an expert. The rest of the chapters cover the evidence for violence on recovered skeletons from Paleolithic period finds up to the 19th Century. Along the way the two competing theories of The human past are essentially debunked in as nice a fashion as I could imagine. These theories essentially revolve around the Rousseaian notion of pre-civilizational peace and the State of Nature “red in tooth and claw” posited by Thomas Hobbes. As Dr. Smith makes clear the truth of human history is somewhere in between these two extremes. Violence undoubtedly occurred, the evidence speaks to that, what cannot be determined except to the vaguest extent is how widespread and common people met violent deaths at the hands of other people. One thing that I found very interesting was the idea that the most violent period of human history came about during the Neolithic revolution as humanity was making the gradual transition from hunting and gathering to agriculture and settling into a more sedentary lifestyle based on villages and cities. I would have actually expected the most violent time to have been as large empires began to appear in antiquity. 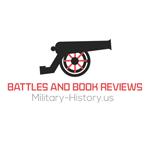 Mortal Wounds is an outstanding book that takes what is a somewhat obscure subject and makes it available to the layman. Dr. Smith has an excellent writing style that keeps the readers interest and turns a potentially deathly dry topic lively and engaging. I cannot recommend this book highly enough.